Green Leaf Lawn provides you with the professional Tulsa light and outdoor security cameras installation with an experienced crew they can turn your home into a winter wonderland in no time at all, while offering the security you may need. We have trained like technicians and designers who can install everything from holiday lights to garland to pre-leave wreaths and other holiday favorites, making your home a landmark during the holiday season. Don’t be the only house on the corner that’s dark and causes people to frown as they drive by trying to find homes with spectacular lighting. Allow us to take away the stress and go with the best. Give us a call today at 918-640-6405 to get started. Doesn’t matter if you’re a business owner or a homeowner, Green Leaf Lawn this year ready to help you hang up this Tulsa holiday lights or even simply to get us to . We understand the holidays are a very stressful time for most people because they’re so much to get done. No matter how much planning you do in the months prior it always seems that you don’t have enough time to get it all finished. That is where our professional crew comes in. We hang up the holiday lights, tear them down and even store them for next year so that you don’t have to worry about them. Homeowners absolutely love our holiday like professionals because were quick, accurate and bring their vision to life. Think about it. This holiday season you don’t have to go into the deepest, darkest parts of the attic trying to find that box held together with duct tape that holds that messy wad of holiday lights. Even if you found the box, it’s going to take you at least three hours to try to untangle them and then comes the part where you risk your life dangling from the roof trying to hang. Throw that all out the window this holiday season. Green Leaf Lawn is going to do everything for you from hanging the lights, testing the lights and tearing down the lights when the holidays finally come to an end. We not only hang up your Tulsa holiday lights but we also give you a free on-site quote on how much is going to cost. You can take us around the house and cast the vision of what you want your home to look like this Christmas. Once we have the vision, our experienced and professional light installers will be at your home putting up those lights in no time. You don’t have to lift a finger. You can relax, go shopping and prepare for the relatives that are coming in for the holidays. 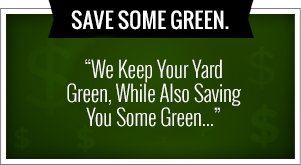 Green Leaf Lawn will take care of everything from start to finish. We also provide lighting for holiday parties at home or for your business. We can also provide you with ideas and how to make your event really stand out this Christmas. We know that your sister always there is the holiday event and it is always spectacular. But this is your year to shine. Green Leaf Lawn can provide you with the professional event planners and lighting experts they can turn this holiday party into a memorable, everlasting moment. Let’s get started today and watch your stress disappear. Green Leaf Lawn is not only known for our we control, lawn care and landscaping but we also provide Tulsa holiday light installation during the holiday season. We are one of the number one choices for both homeowners and business owners throughout the city to hang up those Christmas lights, turning up property into a winter wonderland. We also provide garland, pre-lit wreaths and anything else you might need to create the perfect holiday atmosphere at your home or business. If you don’t want to risk your life this holiday season dangling from the roof of your house please give us a call today at 918-640-6405. We understand that there is a secret rival that goes on between neighbors every holiday season. You have Joe down the street who is always putting out inflatables. You also have Mary who insist on putting up as many wreaths as she possibly can. And then you have the Clarks, who consistently hang up Christmas lights that flash and spin according to music played on the radio. This year is your year to shine. Green Leaf Lawn is here to help you out by providing you with the top professional Tulsa holiday light installers who can help you become evenly matched with the rest of the neighbors in the neighborhood. We begin with a free estimate and on-site quote for your convenience. Simply take us around the house, tells what you want and we can give you an accurate estimate so that you can decide whether this is a good investment or not. Honestly, you have 1 million other things to do during the holiday season and risking your life hanging from a ladder should not be one of them. Think about it. Not only do you have to dangle from the roof another year in the row but you also have to pull out those Christmas lights which are somewhere in the attic between your grandmother’s antique desk and all of the plastic pumpkins you thought you needed for October. Once you do find the lights you have to untangle them which are always in an impossible wad and sick knots that can hold a ship to port. With Green Leaf Lawn you never have to worry about touching a single light. We hang up the lights and we store them away properly for next year so that we can do the same thing repeatedly. Our lighting crew has the experience and we can hang up those lights in no time at all. There’s no reason why our client should have to stress during the summer with their lawn and no reason they should stress when it comes time for Christmas. If you’re ready to hang up those holiday lights for the season please give our professionals a call so that we can get them up as soon as possible. We want your neighbors to be jealous and we finally when you to get the Clarks a run for their money. If you’re interested in having your Tulsa holiday lights professionally installed give us a call today so that we can get out there to give you your estimate. You’ll be amazed by the speed and accuracy of the team here Green Leaf Lawn. We help bring your holiday vision to life. Green Leaf Lawn provides top-quality Tulsa holiday light service for homeowners, property managers and business owners. Our ultimate goal is that you don’t have to stress at all during the holiday season by searching for that wad of tangled Christmas lights somewhere in the attic or the garage. We have a professional team that has the experience, the ladder and assumes all the risk so that you don’t have to. If you’re ready to have your house sparkle and shine this holiday season will also make your neighbors jealous you need to give Green Leaf Lawn a call today. 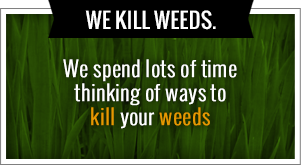 Schedule your free estimate today at 918-640-6405. Our ultimate goal is to make this holiday season a huge success by taking as much stress off your plate as possible. Most people have a big long list that they have to get done and it consist of 1 million different things. You need to clean the house, go shopping, prepare for your out-of-town relatives and prepare meals that could feed a small army. With all the other things you have to worry about it only makes sense that you leave the Tulsa holiday lights to someone else. Green Leaf Lawn has the crew, the experience and the right equipment to get those lights done fast. We can create that holiday atmosphere that you’re looking for. We give all of our clients an on-site quote which is 100% free. We take a look around the house and check all the areas where you want to hang lights. We give you an accurate estimate on how much going to be and we can have them up in no time. There is no reason why you should risk your life dangling from the roof trying to keep your feet on the latter when our Tulsa holiday light professionals can do it for you. We are the company that meet your needs the best and we are highly qualified get the job done right the first time. We get the lighting that you want your holiday season and the lighting it’s going to make your wife happy. We also provide party lighting for those looking to throw our holiday get-together. Whether your company or its at your house, Green Leaf Lawn can help provide the extraordinary lining to make your event stand above the others. We want your event to shine and sparkle with holiday spirit. We can help you get there the holiday lights and connect you with experienced party professionals they can help coordinate your event to reach the highest potential. We are here for all of your lighting needs no matter when, where or how. If using a professional team to hang up your Tulsa holiday lights sounds like the perfect idea for you don’t hesitate to give us a call. We want you to have the ability to enjoy your holiday season without having a risk your life at the very top of the house. We can install beautiful Tulsa holiday lights and pre-lit wreaths creating the perfect holiday atmosphere for your family. You won’t be disappointed at the end of the day when you see those lights sparkle and all your neighbors gawking in awe.